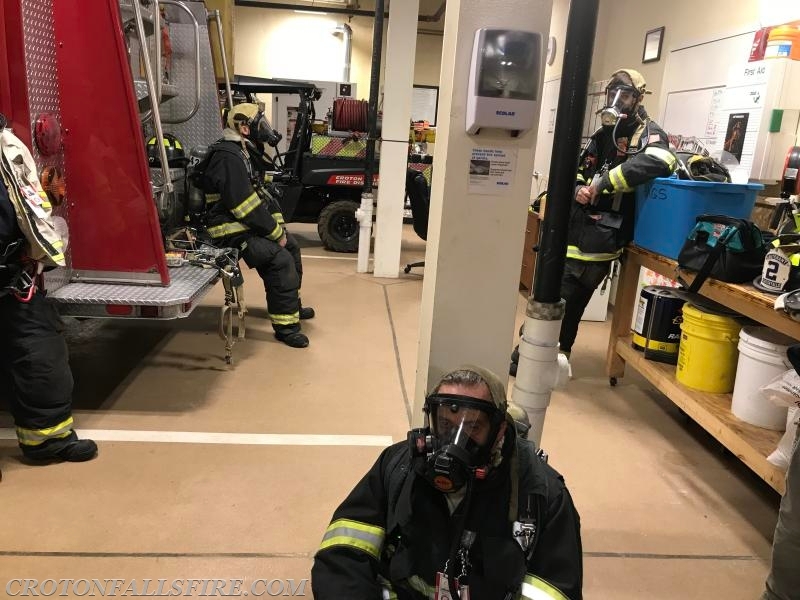 Conserving air was the topic at the Department's weekly Monday night drill on March 26, 2018. 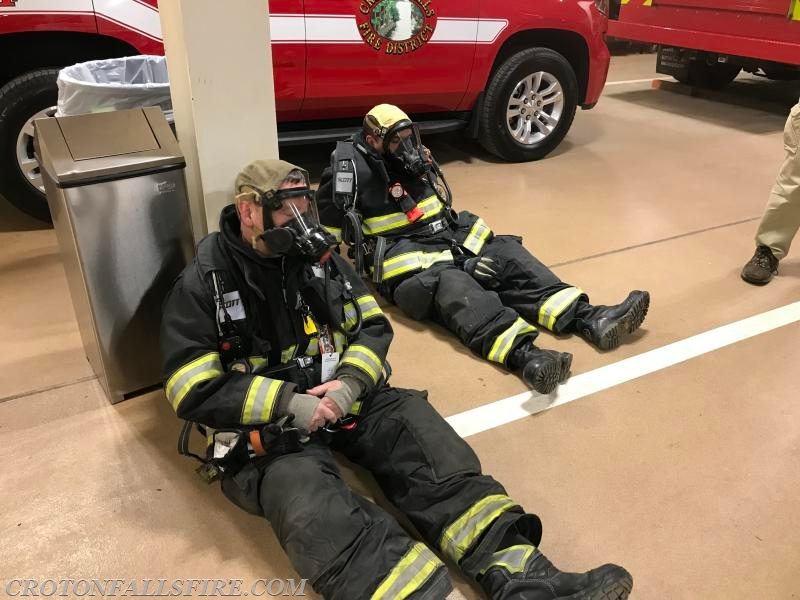 During the drill, each firefighter donned a Self-Contained Breathing Apparatus (SCBA) that had been drained of air until the low-air alarm activated. This alarm is a vibrating, audible warning to the firefighter wearing the SCBA that the air supply has reached a low level and it's time to exit a dangerous environment. The objective of the drill was to reinforce to firefighters the importance of monitoring their air consumption and how much time they have to exit a building when their low-air alarm activates. As important, the drill gave firefighters a chance to practice relaxed breathing to prolong their air supply in the event there's a catastrophic incident at a scene that prevents immediate evacuation to a safe area. In normal working situations the average firefighter may see 12-16 minutes of air consumption prior to the low-air alarm activating and typically between 5-10 minutes of air after the low-air alarm sounds. 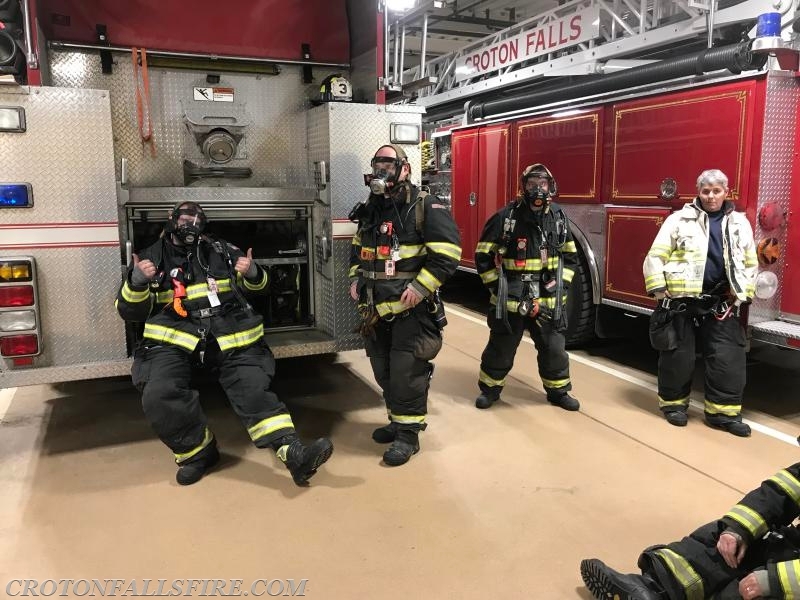 During the drill, firefighters saw a range of 18-30 minutes of additional air time after the low-air alarm activated with the variable time attributed to different breathing patterns and physical fitness.